Several people have been kind enough to send in photographs of their time at Ossett Grammar School and reproduced here are a series of photographs of pupils pictured during school photography sessions, which I think occurred every couple of years or so. The pictures are arranged chronologically and the first photographs is from 1935. 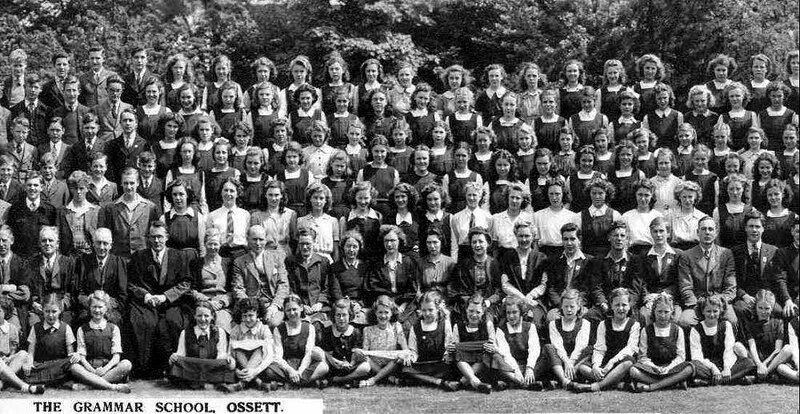 If you have any Ossett Grammar School or Ossett School class photographs, I'd be delighted to publish them on this section of the ossett.net web site, giving full acknowledgment of the source. Back Row, L to R: Mr. Dyson, Unknown, Mr. Van der Veen. Middle Row, L to R: Mr. Parsons, Unknown, Miss Mann, Mr. Carrington, Mr. "Pip" Owen (Maths), Mr. Bailey, Unknown, Mr "Freddie" Rainbow (Art). Front Row, L to R: Unknown, Unknown, Miss Linley, Mr. Akehurst, Dr. Chapman, Unknown, Unknown, Unknown.. Above: Class 3B in April 1940. Photograph courtesy of Tom Linnington. Back Row, L to R: James Verity; Alfred Harrison; John Edward Dews; John Griffin; Malcolm Sheldon; Alan Beesley; Frank W. Hall; Desmond Lindley; Stanley Barstow; Tom Linnington. Front Row, L to R: Gerald Fallas; Ronald Barrell; Paul Sheard; Alan Buckley; J. Carrington, Form Master (Taught English); Dr. H. G. Chapman, Headmaster; Ernest Hainsworth; Donald C. Lambert; Arnold Hinch(c)liffe; Raymond Wardle or Wardell. Front Row seated, cross-legged: Geoffrey Pettit. Above: Ossett Grammar School Girls Form 4G in September 1940, courtesy of Kathleen Perry (now Berry), Isle of Man. Back Row, L to R: Betty Audsley, Kathleen ?, Kathleen Perry, Marjorie Nettleton, Jean Raby, Yvonne Harper, Eileen Hanson, Rosa Lambert, Jean Smith, Betsy Asquith. Front Row, L to R: Elsie Bartley, Betty Brooke, Muriel Haigh, Marie Patterson, Dr. H.G. Chapman, Miss Herbert, Jean Bretton, Eleanor Walker, Nora Blackburn, Sheila Ward. Sitting Front, L to R: Joan Andrassy and Mary Andrassy. 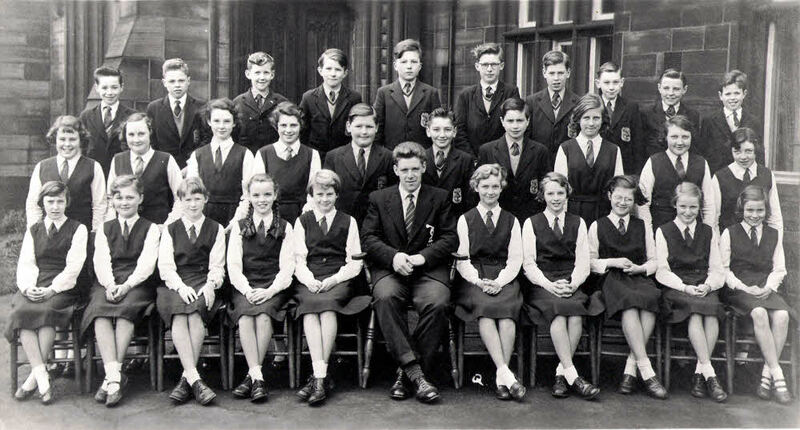 Above: Ossett Grammar School class circa 1940/1941 courtesy of Peter Day, Horbury. Back Row, L to R: Walter Firth, Harold Lambert, Bob Turner, Jack Caunce, Lewis Whitford, James Harris, David Hoole, Ronnie Carter, Donald Ingham, Harry Ryan, Geoffrey Berry. Middle Row, L to R: Walter White, Donald Hey, Geoffrey Yates, Roy Harter, Derek Evans, John Lockwood, Raymond Brook, Billy Ogden, Vernon Grace, Norman Jolly. Front Row, L to R: Jack Philips, Roy Pickersgill, Willie Johnson, George Rolph, Headmaster (Dr. Chapman), Form Master (Mr. Bailey), George Tyrrell, Tom Shimmeld, Eli Bradley, Ashley Petts. Sitting Front, L to R: Cedric Wainwright, Peter Day, Arthur Kitchen, Ivor Croft. 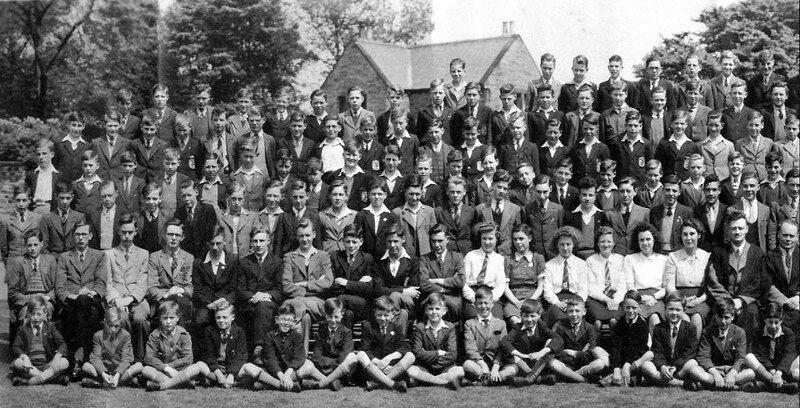 My thanks to Telford Moore for the next series of five photographs, which were adapted from one larger panoramic picture of the entire staff and pupils at Ossett Grammar School in May 1947. As the owner of these pictures, Telford would like to hear from you if you can identify any of the non-identified named pupils or the one non-identified member of staff on the five pictures that follow. If anyone would like themselves identified on these 1947 'photos', please contact Telford, whose email address is shown after the last of his pictures. If you hover the mouse pointer over the faces of the people so far identified in the pictures, their name will appear in a small box. Above: 2nd Row from front Mr. T.M. Clark (Head of Physics) 2nd from right; Mr. Fricker (Physics & Maths) far right. Alan Clark (Head Boy 1949-1950 & son of Mr. T.M. Clark) - back row - 2nd from right. Telford Moore - 4th row from front - 10th from left. 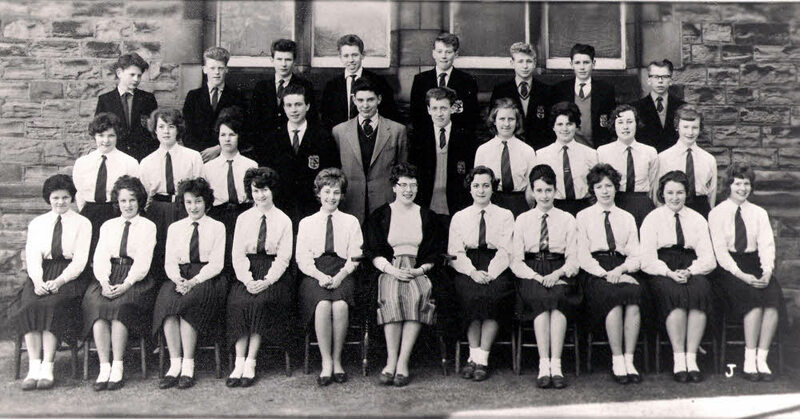 Margaret Pollard (Head Girl 1946-1947) - 2nd row next to Mr. T.M. Clark. 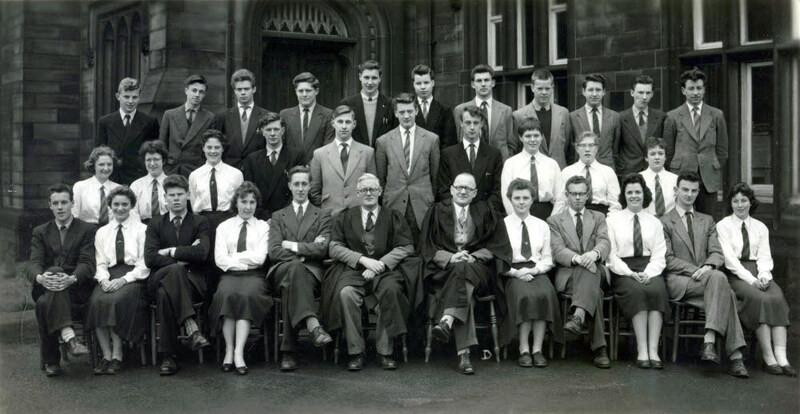 Betty Nother (Head Girl 1947-1948) 2nd row, 3rd left of Mr Clark; Barry Pickles (Head boy 1950-1951) 3rd row, 6th from left; Alan Hemingway 6th row, 7th from left. Above: Staff on second row are Mr. T.M. Clark (Head of Physics); Mr. Fricker (Physics & Maths); Mr. Edwin Lucas (German & French); Mr. G.M. Van der Veen (History & French); Mr ? (PE? ); Mr H. Dyson (Latin & History); Mr. Atkinson (Maths); Mr. H. Bailey (Geography); Mr. Parsons (Head of Maths); Mr. Charles H. Akehurst (Senior Master & Head of Chemistry); Mr. E.C. Axford (Headmaster); Miss F. Mann (German & Senior Mistress); Mr. Rook (Music); Miss Andersen (Head of English). Pupils are Alan Clark (Head Boy 1949-1950 & son of Mr. T.M. 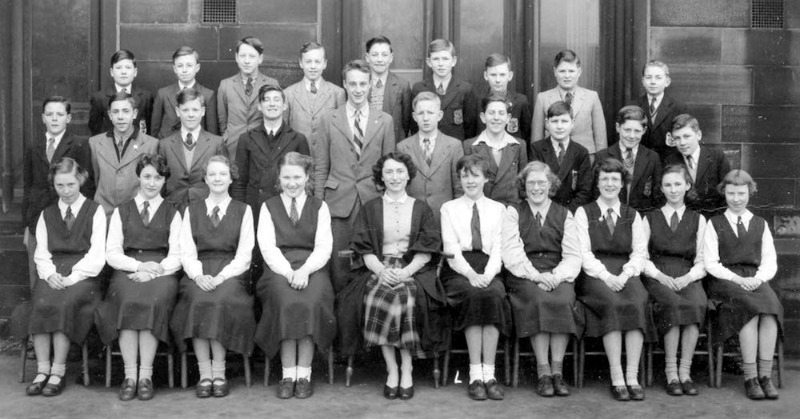 Clark) - back row, 6th from left; Ruth Nettleton (a future stalwart in recording Ossett's past history) 3rd row, 4th from right; Maurice Petyt (Head Boy 1952-1953) - 5th row, 12th from left; Margaret Pollard (Head Girl 1946-1947) - 2nd row next to Mr TM Clark. Betty Nother (Head Girl 1947-1948) 2nd row, 3rd left of Mr Clark; Joyce Perry (Head Girl 1948-1949) 3rd row, 2nd girl from left; Brenda White (Head Girl 1949-1950) 3rd row, 3rd girl from left; Ian Rigg (Head Boy 1948-1949) 3rd row behind Mr Van der Veen. Above: Mr. Fricker (Physics & Maths); Mr. Edwin Lucas (German & French); Mr. G.M. Van der Veen (History & French); Mr. ? (PE? ); Mr. H. Dyson (Latin & History); Mr. Atkinson (Maths); Mr. H. Bailey (Geography); Mr. Parsons (Head of Maths); Mr. Charles H. Akehurst (Senior Master & Head of Chemistry); Mr. E.C. Axford (Head); Miss F.G. Mann (German & Senior Mistress); Mr. Rook (Music); Miss Andersen (Head of English); Miss Linley (Domestic Science); Miss Cathy Sheen (English); Miss Dorothy Cashmore (English); Miss Herbert (History & Latin); Miss Annie S Robertson (Art). 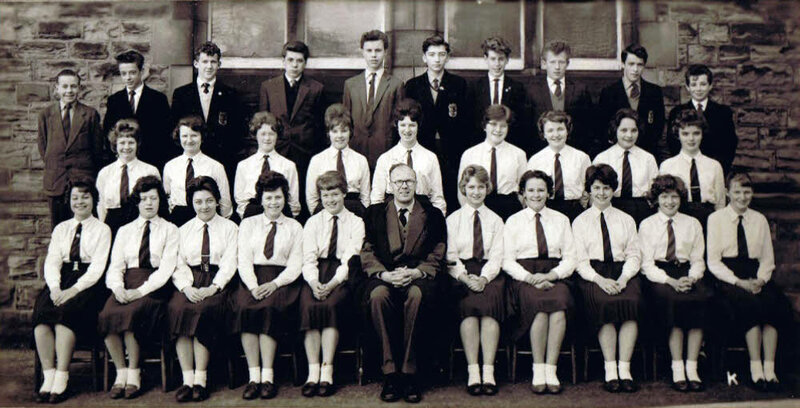 Pupils are Ruth Nettleton (a future stalwart in recording Ossett's history) - 3rd row, 10th from right; Maurice Petyt (Head Boy 1952-1953) - 5th row, 6th from left and Audrey Bowers (Head Girl 1952-1953) - 4th row, 5th from right. 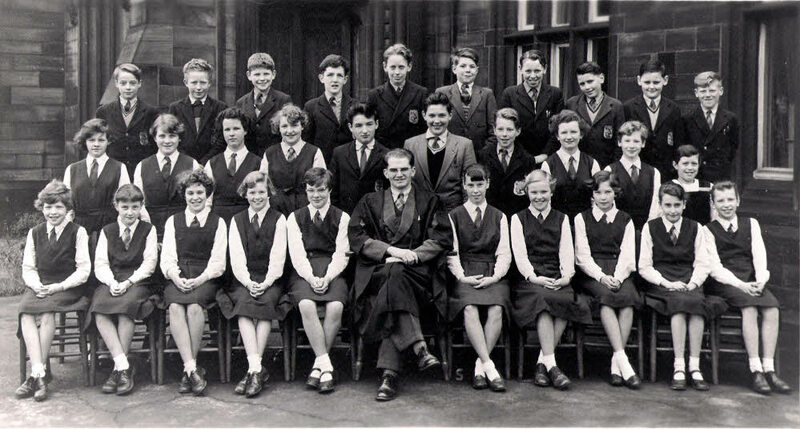 Joyce Perry (Head Girl 1948-1949) 3rd row, 2nd girl from left; Brenda White (Head Girl 1949-1950) 3rd row, 3rd girl from left; Maureen Moore back row, 2nd from right; Ian Rigg (Head Boy 1948-1949) 3rd row behind Mr Van der Veen. Above: Staff from left hand side, second row are Mr. H. Bailey (Geography); Mr Parsons (Head of Maths); Mr. Charles H. Akehurst (Senior Master & Head of Chemistry); Mr. E.C. Axford (Head); Miss F.G. Mann (German & Senior Mistress); Mr. Rook (Music); Miss Andersen (Head of English); Miss Linley (Domestic Science); Miss Cathy Sheen (English); Miss Dorothy Cashmore (English); Miss Herbert (History & Latin); Miss Annie S. Robertson (Art). 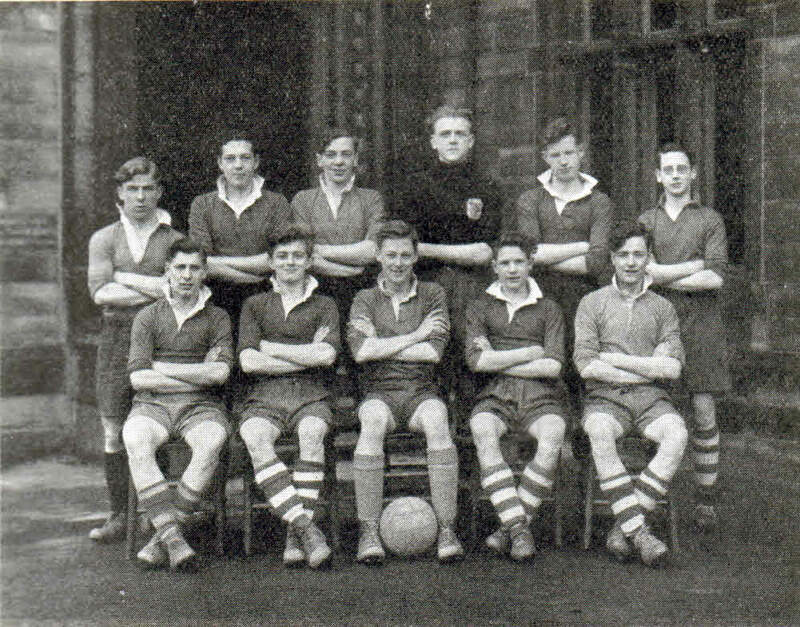 Pupils are Arthur Boocock (Head Boy 1946-1947) - 2nd row, 5th from right, i.e. the boy sitting to the right of Miss Robertson; John Jenkins, 2nd row, next but one from Arthur Boocock, i.e. third from left; Audrey Bowers (Head Girl 1952-1953) - 4th row, 11th from right; Ruth Nettleton (a future stalwart in recording Ossett's history) - 3rd row, 4th from left. 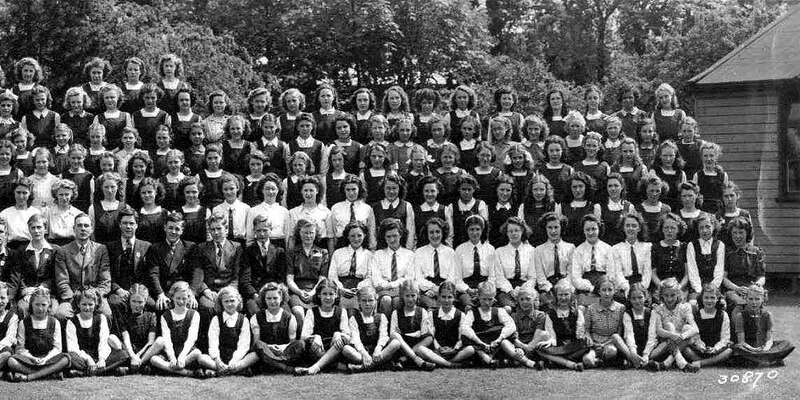 Joyce Perry (Head Girl 1948-1949) - 3rd row, 5th girl from left; Brenda White (Head Girl 1949-1950) - 3rd row, 6th girl from left; Maureen Moore back row, 8th from right. Head Boys & Girls (could be on any of the 5 photos). In the pictures that follow, where possible I have included a list of names, but if you can fill in any of the gaps and name the people in the photographs, then I'd be most grateful. You can send me an email by clicking on the contact page. Back Row, L to R: Gerald Flintoff; Brian Deighton; Arnold Rose; Ian Joseph Wilson; John Thewlis; Brian Crook; David Moore; Geoff Dodgson; Barry Watson; Brian Whittell. Middle Row, L to R: Christine Lee; Joan Worth; Jeryl Boothroyd; Mary Dunn; Avril Summers; Shirley Gomersall; Mary Parish; Kaynita Dixon; Pat Milner. Front Row, L to R: Brenda West; Doreen Walshaw; Daphne Cragg; Shirley Cairns; Anne Green; Mary Hutchinson; Una Radley; Barbara Schofield; Eileen Walmsley; Betty Brearley. 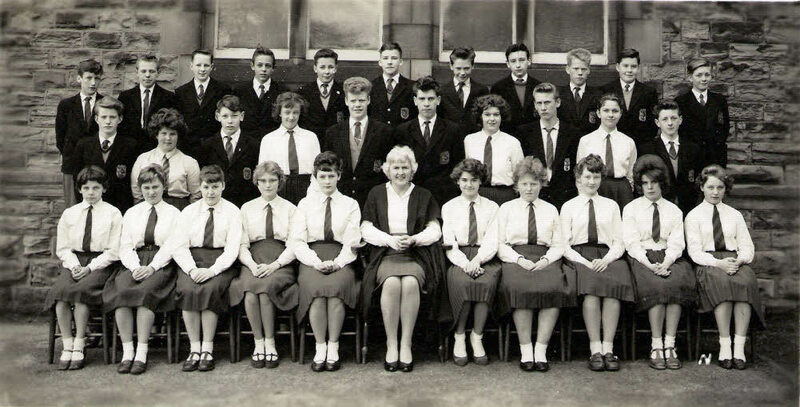 Above: Ossett Grammar School Class from 1949, believed to be Class 3B. Form Master Mr. David. All the pupils were born in 1935/1936. Back Row, L to R: Dan Webster; Trevor Ballance; Gerard Lambert; Robert Batey; Brian Cooper; Peter Firth; Harry Clayton. Middle Row, L to R: Jack Battye; Keith Thompson; Dennis Frank; Russell Hargreaves; John Steel; Alan Secker; John Dobson; Selwyn Cooper. Front Row, L to R: Alan Jackson; Joan Ellis; Jean Fisher; Beryl Kellett; Mr. David; Mavis Windle; Marian Sugden; Eileen Gibson; Barry Armitage. Above: Ossett Grammar School Soccer Team from 1949/50. Photograph courtesy of Telford Moore. Above: Ossett Grammar School 1st XI Hockey Team 1949/50. Photograph courtesy of Telford Moore. Back Row, Left to Right: Shirley Farrar (Netherton), Dorothy Bartle (Ossett), Alma Fawcett (Ossett), Dorothy Firth (Ossett), Jean Birkenshaw, Enid Sykes? Back Row, L to R: Harry Thornton; G.D. Atkinson; Geoff Dodgson; David Moore; Kenneth Oldroyd; Tony Barker; Alan Wilby; Ian Wilson; Peter Spencer. Middle Row, L to R: Barry Watson; Daphne Cragg; Una Radley; Joan Worth; Avril Summers; Mary Parish; Jeryl Boothroyd; Anne Green; Gladys Lockwood; ? ? Front Row, L to R: Shirley Cairns; Mary Dunn; Kaynita Dixon; Betty Brearley; Barbara Blackburn; Brenda West; Marie Watson; Pat Swift; Dorothy Norman; Pat Milner. 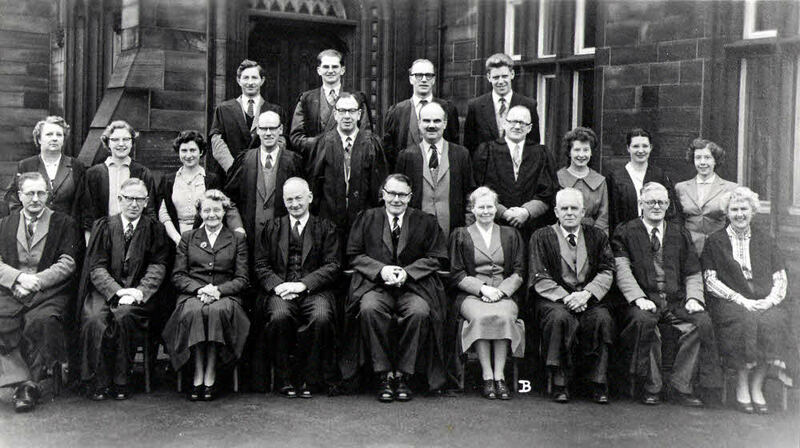 Above: Ossett Grammar School staff in 1952. Picture courtesy of Telford Moore. Back Row, L to R: Miss Patricia Pattern (Biology); Mrs. Hemmingway (Secretary); Mr. North (Music); Mr. A.W. Rablen (Head of English); Mr. Banks (Latin); Mr William Hughes (English, History & French); Mr. Lucas (German & French); Mr Atkinson (Maths); Mr. Thomas Norman Moore (Physics, Chemistry & Maths); Mr. Geoffrey Yates (Games & P.E. ); Mr. Cathcart (English, R.I., Games & P.E. ); Miss Audrey Longley (English); Miss Betty Waddington (Games & PE). Front Row, L to R: Mr. H. Bailey (Geography); Miss Linley (Domestic Science); Mr. Parsons (Head of Maths); Miss F. Mann, (German & Senior Mistress); Mr. E.C. Axford (Headmaster); Mr. Charles Akehurst (Senior Master & Head of Chemistry); Miss Annie S. Robertson (Art); Mr G.M. Van der Veen (History & French); Mr. Clark (Head of Physics). Above: 50th Year Reunion of the Class of 1947. Picture taken in 1997 at the Coach House in Ossett Community Centre, courtesy of Joan P. Smith. Back Row, L to R: Philip Dearnley; ? ; Geoff Dodgson; ?; ? 3rd Row, L to R: Josephine Poole (Callaghan); Joan Worth (Smith); ? ; Alan Wilby; Antony Barker; ? ; David Moore; ? Front Row, L to R: Pat Milner (Brothwell) : Jeryl Boothroyd (Sheehy); ? ; Jean Fisher (Crabtree) ; Audrey Longley; Betty Waddington; ‘Miss’ Pattern ; Shirley Cairns (Wigglesworth); ? ; Margaret Waterhouse ? (Goodrich). Above: Dr. E.C. 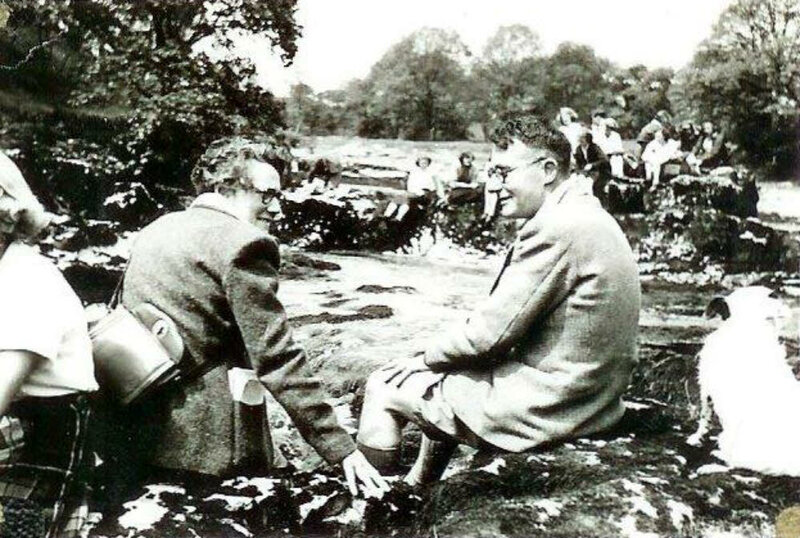 Axford and Mrs. Axford with their dog, on a school trip to Linton and Kettlewell, in the early 1950s. Picture is courtesy of Pat Brothwell (nee Milner). Above: Class Upper 2 in March 1955. Form Mistress is Miss Audrey Longley. Picture courtesy of Colin Thorpe (F. Thorpe in the picture.) Names provided by David Wilkins, Peter Blakey and Colin Thorpe. Back Row, L to R: B. Blandford, D. Lambert, A. Hindley, D. Wilkins, E. Holbrook, D. Hitchborn, R. Hodgson, D. Heeson, G. Sydney. Middle Row, L to R: A. Hutchinson, P. Fletcher, B. Atkinson, R. Millard, B. Thornes, B. Dodgson, M. Atkinson, F. Thorpe, M. Gillian, P. Blakey. Front Row, L to R: Ann Schofield, Mary Carter, Hazel Ross, Joan Ruddlesdon, Miss Longley, Ruby Broadbent, Ann Riley, Doreen Newton, Pauline Halliday, Christine Yelland. 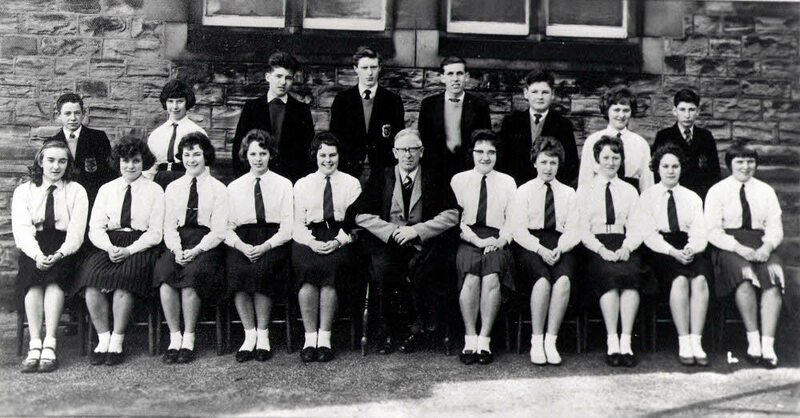 Above: Ossett Grammar School staff in 1958. Picture courtesy of Stephen Gardner. Back Row, L to R: Mr. Rablin, Mr. Nelson (Music), ?, Mr. Jackson (P.E. & Games). Middle Row, L to R: Mrs. Stott (Biology), Miss Heap (Maths), Miss Condon, Mr. Moore (General Science), Mr. Atkinson (Maths), Mr. Hughes (English), Dr. Taylor (Chemistry), Mrs. Mitchell, Miss Booth (History), Unknown. 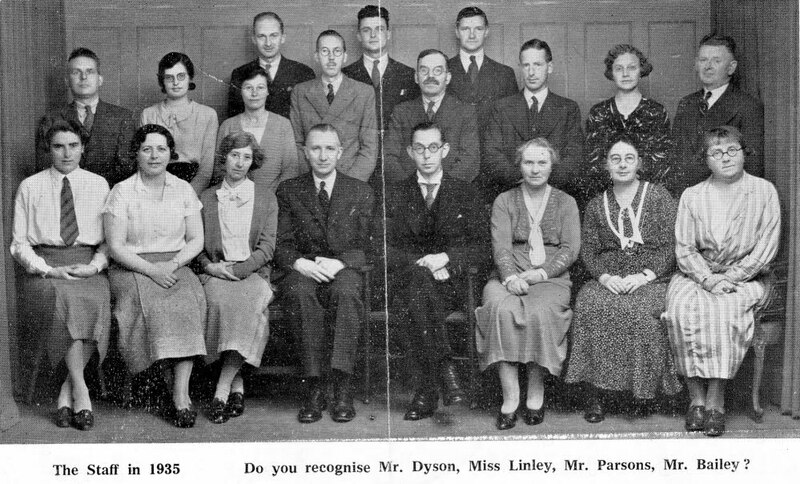 Front Row, L to R: Mr. Lucas (French), Mr. Bailey (Geography), Miss Linley (R.I. & Domestic Science), Mr. Dyson (English & History), Mr. Axford (Head Master), Miss Mann (Senior Mistress), Mr. Parsons (Maths), Mr. Banks (Latin), Miss Robertson (Art). Above: Ossett Grammar School Upper and Lower Sixth Form in 1958. Form Masters are Mr. Banks and Dr. Taylor. Picture courtesy of Colin Thorpe. Thanks to Hazel Barber (Ross) for the additional information. Back Row, L to R: H. Pashley, Trevor Lambert, Graham Ripley, Michael Gillian, Colin Thorpe, Michael Mason, Geoff Eccles, Bruce Atkinson, Alan Hindley, Robert Hodgson, Eddie Holbrook. Middle Row, L to R: Hazel Ross, Doreen Newton, ?, ?, ?, Alan Gregson, John Thornes, Jean Mellows, Ann Riley, Celia Littlewood. Front Row, L to R: ?, ?, Derek Burley, ?, ? Mr Banks, Dr. Taylor, Pamela West, Norman Oldroyd, ?, A. Heywood, Virginia Clifford. Above: Class 1L in May 1958. Form Mistress is Miss Linley. Picture courtesy of Valerie Saxton (Jackson) and Dr. Jan Graydon. Back Row, L to R: Barry Blyth, ?, ?, David Lloyd, Graham Garnett, ?, ? , John Wilcox, ? Middle Row, L to R: John Illingworth, Marion Lister, Christine Kemshell, Denise Meakin, Julian Ball (RiP), Ian Mitchell, ?, Andrea Clegg, Wendy Shires, Michael Cave. Front Row, L to R: Sandra Wilby, Marjorie Jackson, ?, ?, Valerie Jackson, Miss Linley, Rosemary Burns, ? Glover, ?, Barbara Hutchinson, ? Above: Class 1J in May 1958. Form Master is Mr. Jackson (P.E.). Picture courtesy of Stephen Gardner. Thanks to Dr. Jan Graydon for identifying some of the unknown pupils. Back Row, L to R: John Wilcox, Tony Green, John Ashcroft , Geoffrey Barnard, ?, ?, ?, ?, ?, ?, ? Middle Row, L to R: Pat Bottomley, ?, ? Barbara Whitehead, John Wood, Gordon Dey, Ben Cooper, Margaret Ellis, ?, Eileen Parsons. Front Row, L to R: ?, ?, Sylvia Cave, Cheryl Watson, June Suffield, Mr Jackson (P.E), Lynda Perkin, ?, ?, Irene Cass, ? Above: Class 1N in May 1958. Form Master is Mr. Nelson (Music). Picture courtesy of Stephen Gardner. Thanks to Dr. Jan Graydon for filling in lots of the unknown names. Back Row, L to R: Colin Derry, Colin Deighton, Roger Broadbent, Graham Healey, Christopher Little, Robert Walpole, Ken Dixon, David Hardwick, Ian Roberts, Harry Kenworthy. Middle Row, L to R: Kathryn Taylor, Marilyn Greenwood, Jennifer Drury, Gillian Hardcastle, John Wilson, Kenneth Hudson, Russ Hibbins, Brenda Heaton, Jean Spencer, Elizabeth ? Front Row, L to R: Maureen Guy, Elsie Ferguson, ?, Valerie Hirst, Janet White, Mr Nelson (Music), Jennifer Hough, Pauline Miller, Anne Williamson (RiP), Maureen Kelly, Janet Kirby. Above: Class 1A in April 1961. Form Master is Mr. Hughes (History). Picture courtesy of Anthony Hirst. Back Row, L to R: Steven Hartley, Richard Hirst, Richard York, Unknown, John Ellis, Unknown, Unknown, Unknown, Angus Ferguson, Terry Evans. Middle Row, L to R: Unknown, Unknown, Neil Smith, Unknown, Unknown, Mary Ellis, Unknown, Unknown, Unknown, Anthony Hirst. Front Row, L to R: Unknown, Mary Downing, Unknown, Unknown, Susan Atkinson, Mr Hughes (History), Unknown, Susan Scargill, Unknown, Unknown, Unknown. Above: Form 3A in April 1961. Form Mistress is Miss Annie Robertson. Picture courtesy of Stephen Gardner. Back Row, L to R: Trevor Newton, David Schofield, David Bent, Roy Duckett, Stephen Wray, Stuart Imeson, Stuart Pamment, William Pattison, David Armitage, Michael Embley, Jimmy Willett. Middle Row, L to R: David Mellor, Jean Boffin, Reginald Chapman, Kathleen Brooke, David Haigh, Stephen Gardner, Elizabeth Cooley, Colin Griffiths, Pauline Bradley, David Ladley. Front Row, L to R: June Wilkinson, Jennifer Hemmingway, Jennifer Ramsden, Patricia Lockwood, Eileen Mitchell, Miss A. Robertson (Art), Susan (Sally) Atkins, Janet Armstrong, Sandra Jowett, Ann Mannion, Janet Cooper. Above: Form Upper 3 in April 1961. Form Mistress is Miss Brown (History). Picture and names courtesy of Stephen Gardener. Additional names courtesy of Janet Hatcher (nee Chambers) and Michael Walker. Back Row, L to R: David Lonsdale, Stephen Holmes, Alan Westbury, Glyn Taylor, Michael Walker, David Barker, Pat Pettit?, Ronald McKenzie, Keith Binks, Robin Connolly, Tim Kaye, Michael Cook. Middle Row, L to R: Marilyn Hibbins, Margaret Walker, Janet Chambers, Janet Muxworthy, Janet Simpson, Carol Dunford, Jennifer Simpson, Verlie Cragg, ?, Catherine Duncan, Susan Oldroyd. Front Row, L to R: Pat Hudson, Christine Hirst, June Innes, Denise Haigh, Margaret Wilby, Miss Brown (History), Valerie Clegg, Jeanice Sanders, Joan Whitehead, Ann Blackman, Lynne Davidson. Above: Form 4A in April 1961. Form Master is Mr. Gallon. Picture courtesy of Valerie Saxton (Jackson) and Dr. Jan Graydon. Back Row, L to R: ?, Colin Derry, John Ashcroft, Robert Walpole, Ian Mitchell, Gordon Dey, ?, Colin Deighton, David Lloyd, John Wilcox. Middle Row, L to R: ?, Brenda Hooton, Sylvia Cave, Pauline Miller, Denise Meakin, Marilyn Greenwood, ?, Marion Lister, Cheryl Watson. Front Row, L to R: Valerie Jackson, ?, Eileen Parsons, ?, Rosemary Burns, Mr. Gallon, Lynda Perkin, Barbara Hutchinson, Andrea Clegg, Maureen Guy, Irene Cass. Above: Form 4B in April 1961. Form Master is Mr. Bailey (Geography). Picture courtesy of Stephen Gardner. Does anyone know the names of the pupils marked with a question mark? Back Row, L to R: ?, ?, Mick Cave, Julian Ball, Graham Garnett, John Wood, ?, ? Front Row, L to R: ? Glover, ?, ?, ?, Pat Bottomley, Mr Bailey (Geography), ?, ?, ?, ?, Susan Addy. Above: Form Upper 4 in April 1961. Form Mistress is Miss D. Kyne (English). Picture courtesy of Stephen Gardner. Thanks to Dr. Jan Graydon for filling in lots of the unknown names. Back Row, L to R: Roger Broadbent, Harry Kenworthy, Geoffrey Barnard, Kenneth Dixon, Russ Hibbins, John Illingworth, David Hardwick, Barry Blyth. Middle Row, L to R: Janet White, Christine Kemshell, Jennifer Drury, Ben Cooper, Kenneth Hudson, Chris Little, Margaret Ellis, Barbara Whitehead, Janet ?, Jean Spencer. 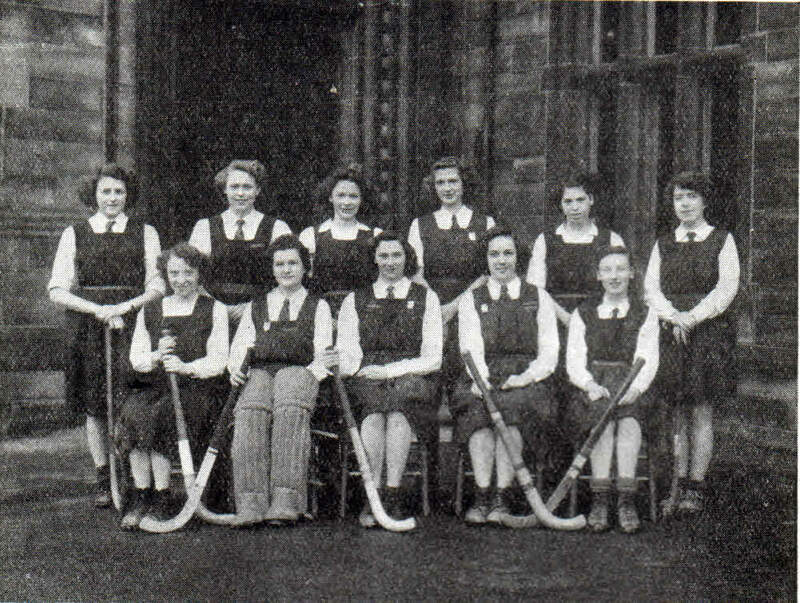 Front Row, L to R: Kathryn Taylor, Sandra Wilby, Elsie Ferguson, ?, Marjorie Jackson, Miss D. Kyne (English), Rosemarie Brown, Maureen Kelly, Janet Kirby, Wendy Shires, Valerie Hirst. 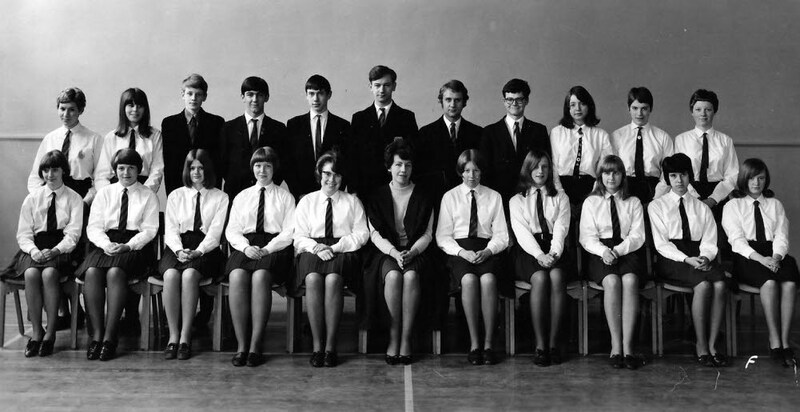 Above: Ossett Grammar School staff in 1961. Picture courtesy of Stephen Gardener. Back Row, L to R: Mrs Knight (Secretary)?, Mr Sidgreaves (Music), Mr Jagger (Maths), Mr Hughes (English & History), Mr Davies (French), Mr Moore (General Science/Physics), Mr Bailey (Geography), Mr Stratton (P.E), Mademoiselle Balerac (French). 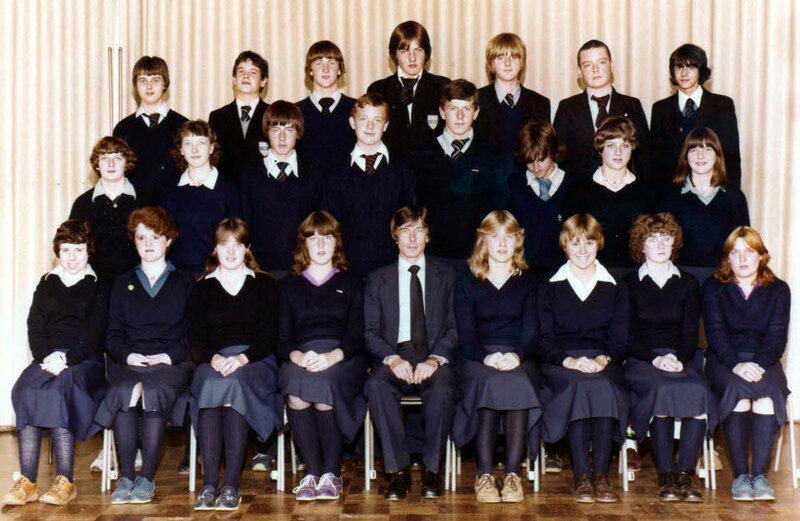 Front Row, L to R: Mr Banks (English & Latin), Miss Robertson (Art), Mr Clark (Physics), Mr Dyson (English/History), Mr Axford (Headmaster), Miss Robson (Senior Mistress), Miss Linley (R.I & Domestic Science), Mr Atkinson (Maths), Mr Lucas (French). Above: Form 2B in April 1963. Form Master is Mr. Beaumont (Woodwork). Picture and names courtesy of Vivienne Stow (nee Ramsden). Back Row, L to R: Michael Lee, Michael Drayton, Roland Oldroyd, Michael Geary, Philip Marsden, Nigel White, Paul Weston, Martin Stringer, David Souster, Neil Dodgson, Brian Thompson, Kevin Peach. Middle Row, L to R: Anne Booth, Renee Gascoigne, Hazel Turner, Vivienne Ramsden, Pamela Flint, Pamela Bannister, Valerie Forbes, Audrey ?, Linda Clegg, Susan Ainsworth. Front Row, L to R: Pamela Saville, Frieda Taylor, Margaret Inman, Margaret Falshaw, Frances Woolley, Mr. Beaumont, Angela Smith, Patricia Sykes, Wendy Hoare, Pamela Saegar, Pamela Greenwood. Above: Form Upper 2 in April 1963. Form Master is Mr. Keith Orrell (Geography). Webmaster of ossett.net Stephen Wilson is fourth from the right on the back row. Thanks to Brian Thompson (See Class 5M 1966) for the corrections. Back Row, L to R: Gary Procter, John Leach, Bernard Klatkiewitz, Allan Ingham, Adrian Burns, Roy Cooper, Richard Saberton, Stephen Wilson, Ian Froggett, Bryn Duckett, Geoffrey Holderness. Middle Row, L to R: Janet Leyland, Christine Wilby, Carola Dawson, Stephan Biltcliffe, Kenneth Churchill, Terry Thomas, Neil Chapman, Stephen Robinson, Margaret Harrop, Valerie Jackson. Front Row, L to R: Margaret Ogden, Ann Fisher, Linda Barker, Christine Blackburn, Hilary Ward, Mr Orr, Pauline Froment, Wendy Whiteman, Jeanne Thomas, Susan Hibbins, Eileen Ely. Above: Form 3A in April 1963. Form Master is Mr. Sidgreaves (Music). Picture and names courtesy of Stephen Gardener. Back Row, L to R: ?, ?, ?, ?, ?, ?, ?, ?, ? Middle Row, L to R: Jackie Webster, ?, ?, ?, Adrian Plumstead, ?, ?, ?, Susan Ekert, ? Front Row, L to R: Jean Haigh, ?, ?, ? Mr Sidgreaves (Music), Brenda Kaye, ?, ?, ? Above: Class 3B in April 1963. Form Master is Mr. Moore? Picture courtesy of Anthony Hirst. Back Row, L to R: Unknown, Richard York, Kevin Smith, Robert Shaw, John Ellis, Kevin Brook, Richard Hirst, Steven Hartley, Andrew Rigg. Middle Row, L to R: Angus Ferguson, Michael Jones, Unknown, Neil Smith, Colin MacKenzie, Unknown, Michael Allsop, Anthony Hirst, Unknown, Ian Asquith. Front Row, L to R: Cathleen Bullock, Cynthia Wilkinson, Unknown, Unknown, Mr Moore, Unknown, Unknown, Jean Winpenny, Unknown. Above: Form 5H in 1963. Form Mistress is Miss Brown (History). Picture and names courtesy of Stephen Gardener. Back Row, L to R: David Schofield, David Ladley, Stuart Imeson, Bill Patterson, Michael Embley, Peter Wilson, David Mellor, Stuart Pamment, Roy Duckett, David Armitage. Middle Row, L to R: Pat Lockwood, Susan (Sally) Atkins, Elizabeth Cooley, Pauline Bradley, Reginald Chapman, David Bent, Kathleen Brooke, Pauline Stringer, Linda Watkins, Eileen Mitchell. Front Row, L to R: Janet Cooper, Jennifer Hemingway, Jennifer Ramsden, Janet Armstrong, Sandra Jowett, Miss Brown (History), Valerie Clegg, Denise Haigh, Christine Hirst, Marilyn Hibbins, June Wilkinson. Above: Form VA in April 1963. Form Master is Mr Ritchies. Picture and names thanks to Stephen Gardener and Vivienne Stow. Back Row, L to R: Keith Taylor, Trevor Newton, Terry Hemmingway, Jimmy Willet, Michael Hardcastle, Brian Carter, Tom Kaye, John Glover, Geoffrey Ibbotson, Jeff Shelley. Middle Row, L to R: Sheila Smart, ?, Christopher Balmforth, Tim Coy, Michael Issott, Raymond France, Stephen Gardner, David Sharpe, Mark Furness, Janet Ogley. Front Row, L to R: Jean Boffin, Janet Thornber, ? , Susan Wilson, Mr Ritchies (Physics), ?, Barbra Spence, Susan Dews, Christine Archer. Above: Form 5M in 1963. Form Master is Mr. Atkinson (Maths). Picture and names courtesy of Stephen Gardener. Additional names courtesy of Janet Hatcher (nee Chambers) and Michael Walker. Back Row, L to R: David Lonsdale, Jennings, Tim Kaye, Alan Westbury, Keith Binks, David Barker, Ronald McKenzie, Stephen Wray, Robin Connolly, Stephen Holmes, Glynn Taylor, Michael Cook. Middle Row, L to R: June Innes, Janet Simpson, Janet Chambers, Ruth Petts, John Audsley, Michael Walker, Carol Dunford, Verlie Cragg, Jennifer Simpson. 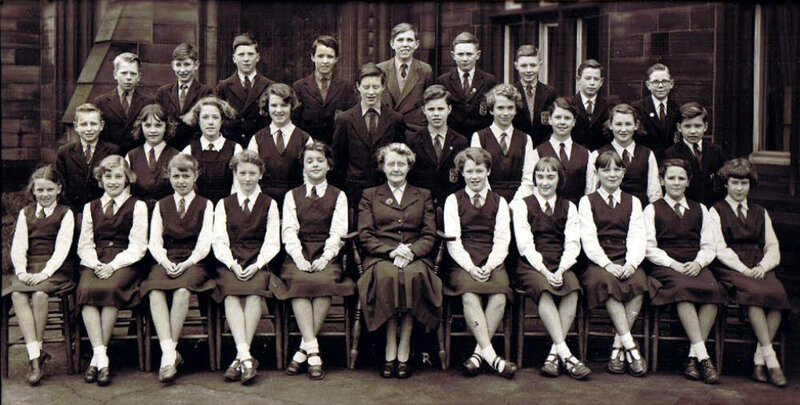 Front Row, L to R: Jeanice Sanders, Susan Oldroyd, Margaret Walker,Lynne Davidson, Margaret Wilby, Mr Atkinson (Maths), Janet Muxworthy, Kathleen Duncan, Ann Blackman, Joan Whitehead, Pat Hudson. Above: Form 4B in 1965. Form Master is Mr. Stratton (P.E). Picture and names courtesy of Vivienne Stowe (nee Ramsden), Melbourne Australia, Brian Thompson and Roland Oldroyd. Back Row, L to R: Michael Gartenfeld, Kevin Peach, Roland Oldroyd, David Souster, Martin Stringer, Nigel White, Neil Dodgson, Philip Marsden, Michael Hubbard, Michael Drayton, Michael Lee. Middle Row, L to R: Anne Booth, Linda Clegg, Ruth Fountain, Pamela Bannister, Pamela Flint, Anne Fletcher, Hazel Turner, Janice Audsley, Pamela Saeger. Front Row, L to R: Freida Taylor, Patricia Sykes, Pamela Littlewood, Angela Smith, Mr. Stratton, Margaret Inman, Renée Gascoigne, Wendy Hoare, Pamela Saville. Above: Form 5M in 1966. Form Master is Mr. Mason (English?). Picture and names courtesy of Vivienne Stowe (nee Ramsden), Melbourne Australia, Roland Oldroyd and Brian Thompson. Back Row, L to R: Martin Lonsdale, Stephen Greaves, John Colley, Ian Huddlestone, John Griffiths, Allan Ingham, Brian Thompson, Michael Robinson, Brian Dunford. Middle Row, L to R: Susan Davey, Diane Cammidge, Susan Todd, John Davies, Stephen Shillitoe, Kevan Woolley, David Hopkin, Valerie Forbes, Vivienne Ramsden, Ann Ford. Front Row, L to R: Susan Asquith, Carol Fallas, Valerie Wood, Linda White, Janette Drake, Mr. Mason, Frances Woolley, Jean Blackman, Susan Kelly, Ann Asquith, Margaret Falshaw. 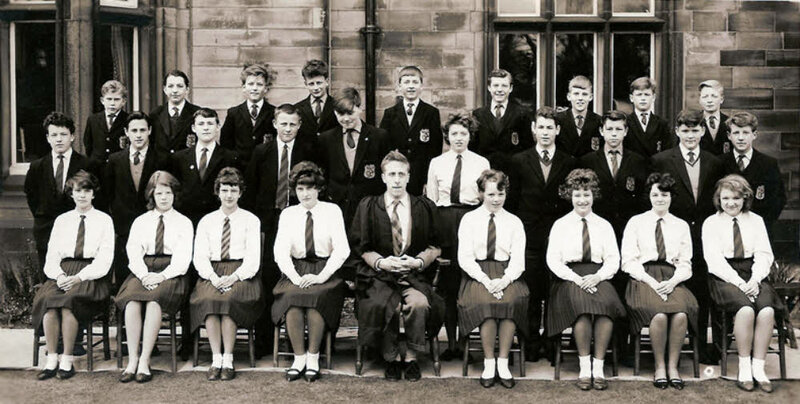 Above: Class 1H in 1966/67, picture courtesy of Peter Day, Horbury with thanks to Charles Andrassy and his sister Susan Andrassy for identifying all the pupils on the photograph. Form master is Mr. William (Bill) Hughes. Back Row, L to R: Eric Davis, Peter Baldock, Timothy Gascoigne, Keith Coates, Baxter Anderson, Colin Blackburn, Neil Dickinson, John Allott, Frank Etchells, Tony Beaumont, Philip Curtis. 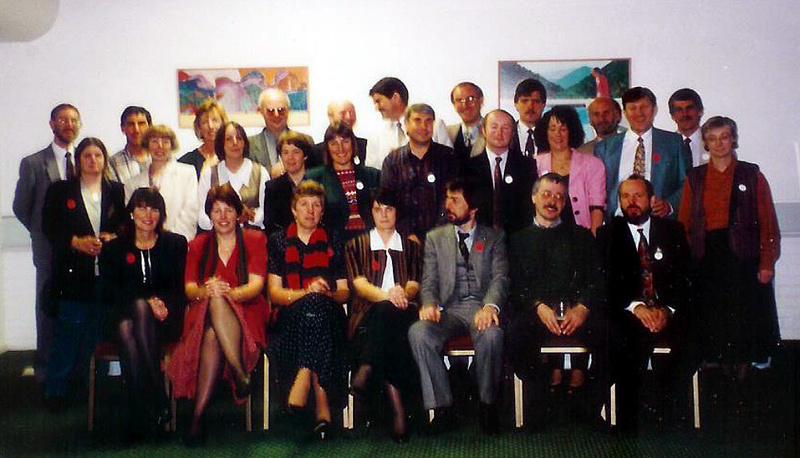 Middle Row, L to R: Doreen Burns, Margaret Furniss, Donald Wilson ?, Stephen Collinson, Jeremy Foster, Andrew Connolly, Neil Barstow, David Coates, Janine Charlesworth, Janet Link. Front Row, L to R: Susan Andrassy, Elizabeth Gott, Judith Carroll, Gillian Graham, Lynette Cooper, Mr William Hughes, Beverley Brown, Linda Chapman, Valerie Grace, Wendy Hanson, Judith Day. Judith Day, Wendy Hanson and Doreen Burns have sadly all died. 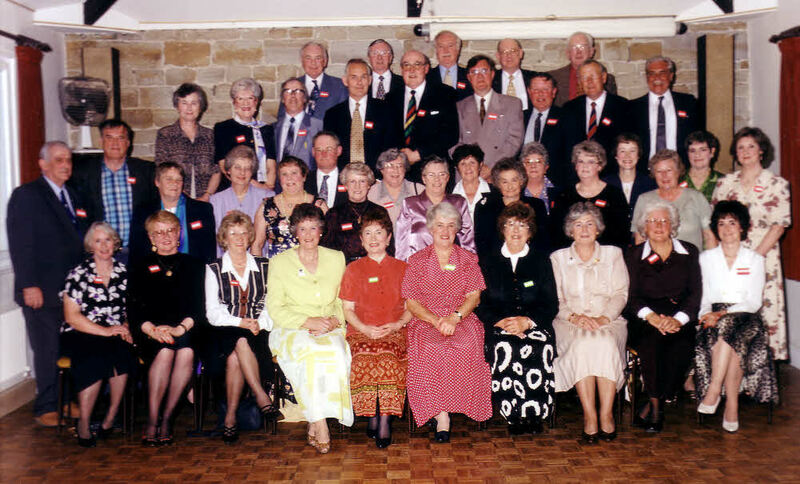 Above: A 1990 reunion picture of some of those who started at Ossett Grammar School in September 1961. The reunion was held at the then Post House hotel on Queen's Drive, Ossett in November 1990. Picture courtesy of Brian Thompson with some help with the names from Viv Stowe (née Ramsden), Frances Roden (née Woolley) and Roland Oldroyd. Back Row, L to R: Terry Thomas, Philip Marsden, Valerie Forbes, Geoff Holderness, Gary Proctor, John Davies, Stephen Biltcliffe, Stephen Shillitoe, John Hemingway, Bryn Duckett. Middle Row, L to R: Susan Kelly, Carol Fallas, Pamela Littlewood, Eileen Ely, Valerie Jackson, Michael Hubbard, Brian Thompson, Hilary Ward, David Watson, Margaret Falshaw. Front Row, L to R: Diane Cammidge, Jeanne Thomas, Linda Barker, Christine Blackburn, Bernard Klat, Martin Pay, Michael Robinson. 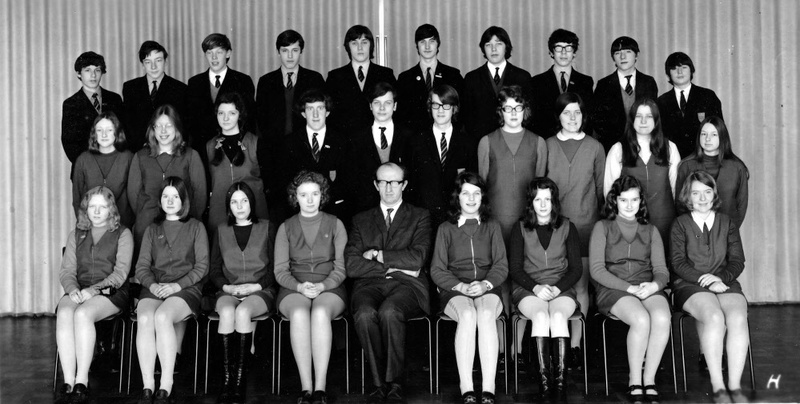 Above: Form Lower 6th (Arts) 1967. Form Mistress is Mrs. Blenkinsop (History). Picture and names courtesy of Vivienne Stow (nee Ramsden). Back Row, L to R: Vivienne Ramsden, Diane Cammidge, Michael Drayton, Philip Marsden, Martin Pay, Stephen Biltcliffe, John Hemingway, Roland Oldroyd, Susan Todd, Ruth Fountain, Frances Woolley. Front Row, L to R: Margaret Falshaw, Ann Asquith, Susan Kelly, Carol Fallas, Renee Gascoigne, Mrs. Blenkinsop, Jeanne Thomas, Valerie Wood, Jean Phillips, Ann Fisher, Margaret Ogden. 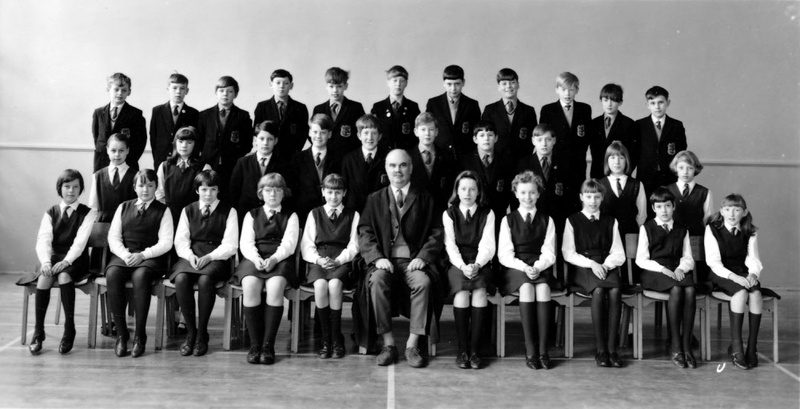 Above: Class 3L in 1968/69, picture courtesy of Peter Day, Horbury with thanks to Charles Andrassy, his sister Susan Andrassy, Andrew Jackson, Lynn Broadbent Davis and Janine Müller for identifying the pupils on the photograph. Form master is Mr. Alan Leamy. Back Row, L to R: Carol Hargreaves, Julie Thornton, Elaine Inman, Gillian Mountain, Judith Day, Lynn Broadbent, Keith Harker, Melvin Robinson, George Holbrook, Tony Beaumont, Michael Allen. Middle Row, L to R: Lesley Mycock, Linda Mann, Julie Morgan, Linda Chapman, Beverley Brown, Patricia Watson, Philip Lynksey, Richard Davies, Frank Etchells, Tony Guite, Peter Baldock. Front Row, L to R: Janet Purnell, Christine Woods, Sharon Plows, Judith Walker, Mr. Alan Leamy, Stephen Collinson, Jeremy Foster, Andrew Jackson, Nicholas Hargreaves. 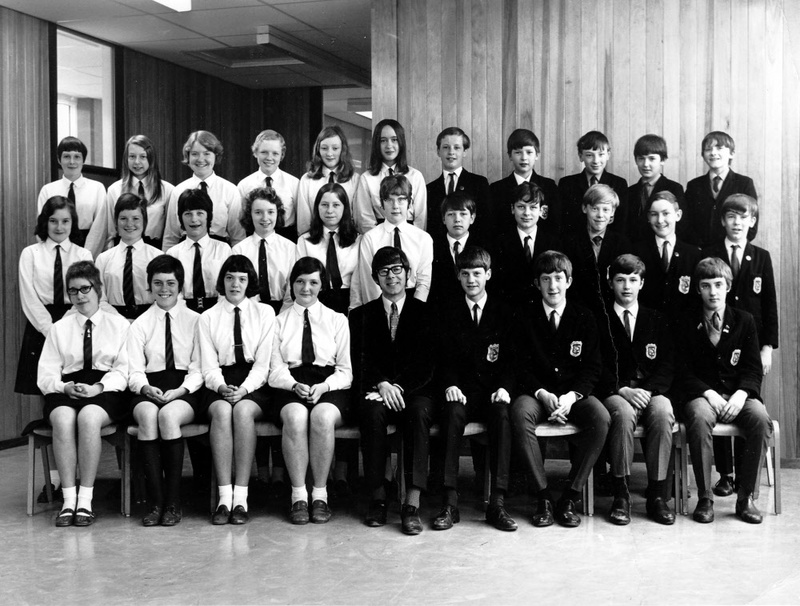 Above: Class 5L in 1970/71, picture courtesy of Peter Day, Horbury with thanks to Charles Andrassy, his sister Susan Andrassy, Janine Müller and Andrew Jackson for identifying the previously unknown pupils on the photograph. Form master is Mr. John Laws. Back Row, L to R: Keith Harker, George Holbrook, Frank Etchells, Andrew Jackson, Nicholas Hargreaves, Karl P. Mash, Phil Lynksey, Peter Baldock, Michael Allen, Tony Beaumont. Middle Row, L to R: Judith Day, Janet Purnell, Judith Walker, Jeremy Foster, Richard Davies, Stephen Collinson, Patricia Watson, Christine Woods, Beverley Brown, Julie Thornton. Front Row, L to R: Gillian Mountain, Linda Mann, Janet Webster, Linda Chapman, Mr. John Laws, Julie Morgan, Carol Hargreaves, Lesley Mycock, Elaine Inman. 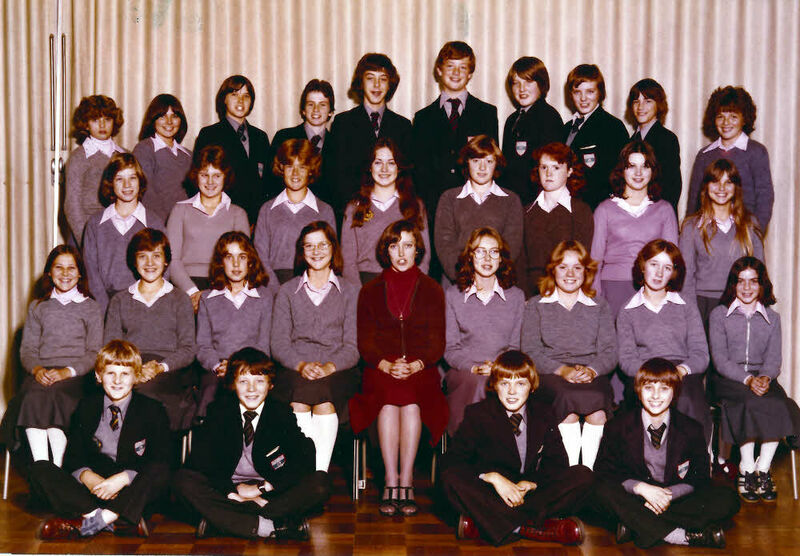 Above: First Year form at Ossett School in Spring 1977. Form Master is Mr. Vodden. Picture courtesy of Carol Krahe and additional names by Neville Ashby. Can anyone identify the pupils marked as unknown in the picture? Back Row, L to R: Richard Hopper; Michael Peace; unknown; Kieran Duffy; unknown; John Naylor; unknown; Steven Kilbank; Mark Windle; unknown; unknown. Middle Row, L to R: unknown; Helen ? ; Margaret McGinty; unknown; unknown; Christpher Stones; unknown; Carol Krahe; unknown; Karen Yarrow. Front Row, L to R: unknown: Jane Hudson; Jayne Stephenson; unknown; John Voddon; April Nord; unknown; unknown; unknown. 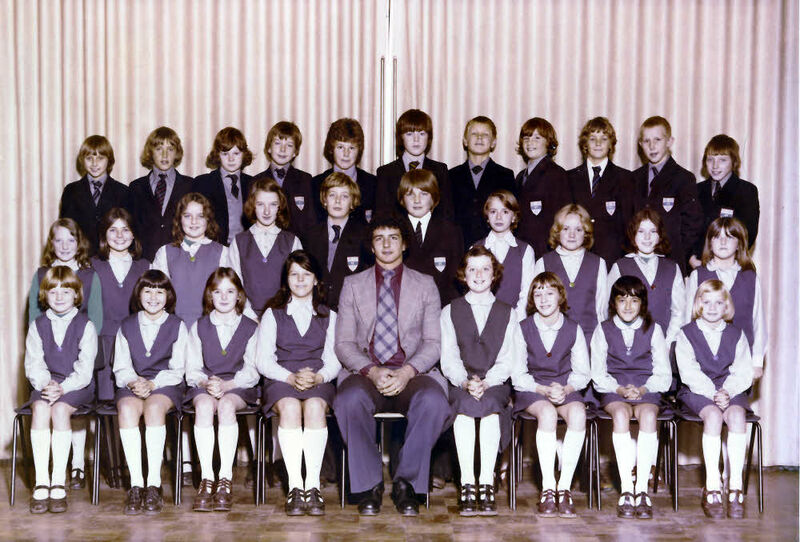 Above: Third Year form at Ossett School in Spring 1979. Form Mistress is Miss Thompson. Picture courtesy of Carol Krahe and additional names by Neville Ashby. Can anyone identify the unknown pupils in the picture? Back Row, L to R: Jane Furby; Helen ? ; unknown; David Sheard; Neil Ogilvie; Neil Lapish; Christopher Stones; Timothy Bowden; unknown; Gail Hindle. Middle Row, L to R: unknown; unknown; unknown; Nicola Embleton; unknown; Linda Galloway; unknown; Andrea Johnson. Front Row, L to R: Pauline England; Dawn Fishwick; unknown; unknown; Form Mistress Miss Thompson; Vicky Burrell; Carol Krahe; Jacqueline Layton; unknown. Seated on Floor: Christopher Johnson; unknown; unknown; Richard Hopper. 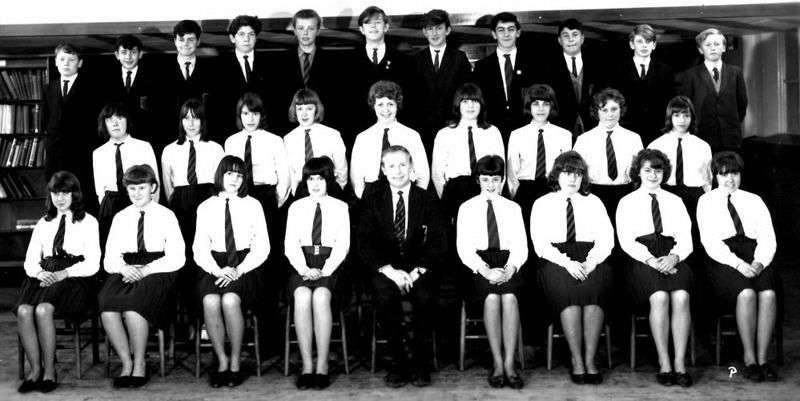 Above: Form 5Wi at Ossett School in 1980. Form Master is Mr. Neville Wigglesworth. Picture courtesy of Neville Ashby. Back Row, L to R: Richard Hopper, David Sheard, Andrew Clayton, Christopher Stones, Richard Wilkinson, unknown, Neville Ashby. Middle Row, L to R: Jane Dransfield, unknown, John Naylor, Neil Lapish, Simon Burrow, Michael Coop, Hazel Agnew, unknown. 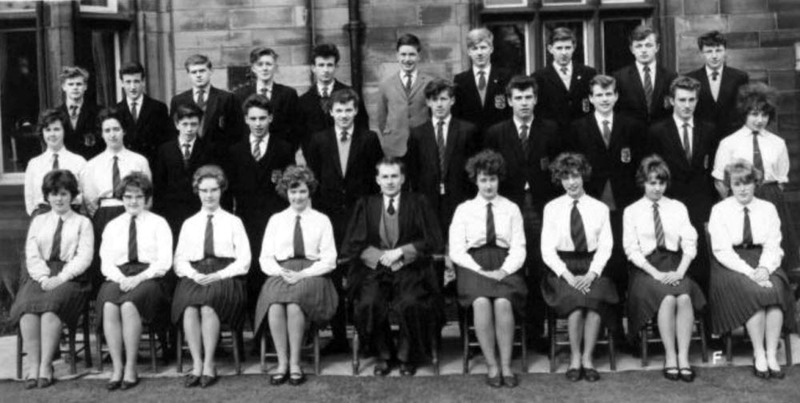 Front Row, L to R: Angela Downing, Linda Galloway, unknown, unknown, Neville Wigglesworth (teacher), next four unknown.